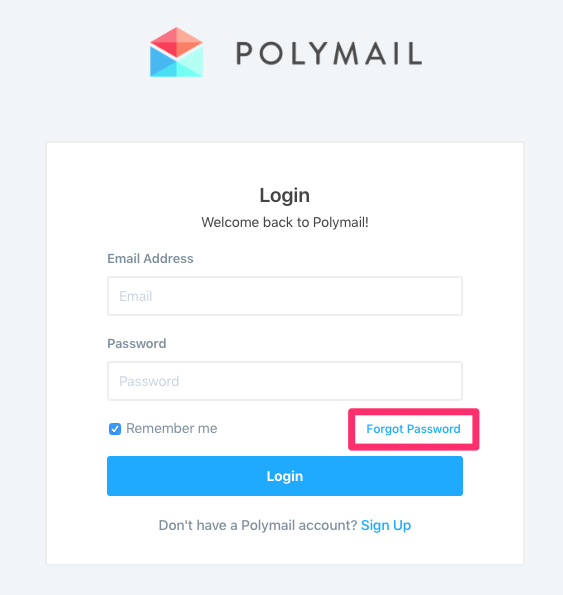 If you've forgotten your password or want to change it, you're welcome to reset your Polymail password whenever you would like! We have a few ways to do that. You can go directly to Polymail Web here on either your phone or computer's internet browser. Click that blue Forgot Password link and our system will send you an email allowing you to reset it. Click on the small carrot in the lower left corner of the app, and then on Settings in the menu that appears. Click "OK" and we'll send you that password reset email. Please note that password reset links are valid for 1 hour only.